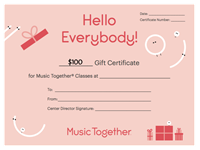 Thank you for choosing to give a Music Together® gift certificate. Please select the gift amount you would like to give. 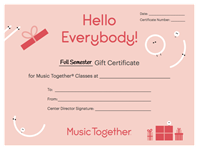 Gift certificates can be mailed or emailed as a PDF that you can print! Questions? 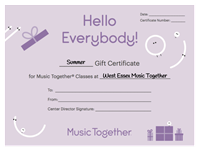 Call or text: 973-498-8830 or email: westessexmt@gmail.com.